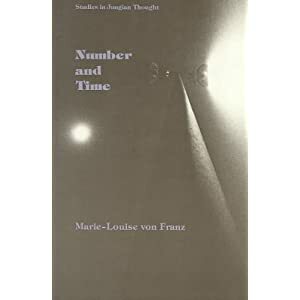 “Although the nonperceptual potential continuum or unus mundus appears to exist outside time, certain dynamic manifestations of it break through into our ordinary temporal sphere in the form of synchronistic occurrences.” p. 11. “A notion similar to that of medieval theologians is also to be found in the works of certain alchemists. But they did not only conceive of the unus mundus as the initial plan of the universe existing in God’s mind; for them it was also identical with the goal they were seeking, the lapis. It, like the res simplex or the philosophers’ stone, was the one world. According to Paracelsus’ pupil, Gerhard Dorn, the highest grade of the alchemical coniunctio consisted in the union of the total man with the unus mundus. “The idea that meaning lies concealed in events themselves was, as Richard Wilhelm has shown, predominant in earliest Chinese culture. We also come across it in the West, in Heraclitus’36 conception of logos, to mention one example. Another version of this view is to be found in the Aristotelian idea of the nous poietikos, an active intelligence inherent in the physical universe which is secondarily manifest in the human soul as the ‘natural light’ and is capable of influencing man’s thinking. “[T]he use of a divinatory oracle represents an attempt to induce a spontaneous manifestation of the … autonomous spirit by offering him ‘his’ speech … . By means of the chance throw of coins or twigs, a ‘hole’ is introduced into the field of consciousness through which the autonomous dynamism of the collective unconscious can break in.” pp. 226f. “The God Shiva … bore the title of Maha-K la (‘great time’) or K la Rudra (‘all-consuming time’). As Heinrich Zimmer remarks, he symbolized the energy of the universe, the forms in which he revealed himself eternally creating, preserving, and destroying. The personification of Shiva as time was later incorporated into another image, the goddess Kli (a word signifying the feminine form of k la, ‘time’), who represented his activating energy (shakti). With good reason Hermann Güntert equates the world k la with the Greek kairos which means ‘to attach the thread of a web together.’ In this sense kairos signifies the ‘right order’ in time. The association of kairos with the goddesses weaving time alludes once again, we must mention in passing, to the idea of a ‘field’ in which ‘meaningful connections’ are interwoven like threads of a fabric.” pp. 255f. The “cosmic ordering of the Self constitutes the ultimate mystery behind all human desire and behavior, an unfathomable and fearsome mystery. information and cognition processes operating in man, and the time-bound synchronistic phenomena underlie those individually experienced messages of the unconscious which can only be adequately interpreted by the individual. The two systems are incommensurable, and because of this they form a fitting symbol for the ultimate unity of existence as a coincidentia oppositorum. In their mirrored images, as one reality reflects off the other, lies the mystery of their experienceability by the individual.” pp. 304f. Next Next post: Carl Jung: "We are prejudiced in regard to the animal."